Thank you for visiting our website. We hope this site helps you learn more about our dental services. For over 25 years, we have taken pride in our reputation for providing excellent dental care in a family-friendly, relaxed environment. Patient safety is a priority so we use the latest in available dental technology such as low-radiation digital x-rays, intra-oral cameras, and a contemporary sterilization center. The cornerstone of our business is our patients whom we believe should be treated with the skill and care they deserve. We pride ourselves in building patients relationships based on mutual trust, respect, excellent customer service, and the best patient care available. 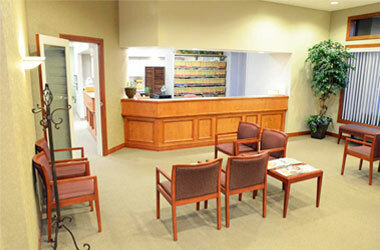 We are committed to providing you with the highest quality dental care. We believe that a "perfect" smile is unique like each individual and look forward to providing you and your family with excellent dental care. Mission Statement – To respect, honor and care for our patients and fellow staff while delivering superior dentistry. © Copyright 2012-2017, Jeffrey D. Pruiett, DMD. Yakima, Washington. All rights reserved.